A four-inch straight red line is cut across my forearm. I have absolutely no idea how I got it. I’m not entirely sure when I got it. It’s been healing nearly four weeks now. You’ve reached a certain stage of adulthood when you no longer remember how or where you got something that could turn into a scar. For instance, I have a small scar on my leg. My older brother and I were horse-playing outside when I was perhaps 7 or 8 years old. I jumped on his back. I didn’t realize he had a good ol’ No. 2 pencil in his back pocket, lead upward, and the end of it broke into my leg. I am easily two feet taller than I was then, yet I can still find the purplish gray remnant of that pencil lead in my leg. Similarly, I have a relatively cool story about why one of my toes lays atop my big toe. We had a new football coach in high school, and the receivers were trying to run routes the way he wanted them run. On one particular route, I cut particularly hard, and I felt something crack in my foot. If he only knew. I never had the heart to tell him I broke my toe on that route. I went to the doctor before our next practice, and the doctor set it back in place and taped it up. That hurt worse than the original break. He said it could pop back out, and eventually it did. I learned to live with it because I didn’t want to miss any practices with the coach who suddenly favored me. My wife has her versions, too. She has marks on her hand from a babysitting job gone awry, where a little boy bit her. She has a more noticeable scar on her forehead from jumping on a bed and hitting a baseboard during the Blizzard of 1978, requiring a plow to lead the ambulance from her house to the hospital to sew her face back together. Our 10-year-old daughter points to a red dot on her hand, apparently a reminder of all the intravenous tubes jabbed into her as a newborn when she nearly died. They’re all reminders of something important in our lives — horseplaying, impressing coaches and surviving. Yet I still can’t, for the life of me, figure out what I did to cause that four-inch cut near my wrist about a month ago. Occasionally I’ll work on something and cut myself, and my children will tell me I’m bleeding. They seem a little impressed that I don’t notice it myself. So in case this wound never heals, I’m working on its origin story now. It will always be the one I got when I was too busy leading life and taking care of my family to realize I got a silly scratch. It might become my favorite scar story to share. 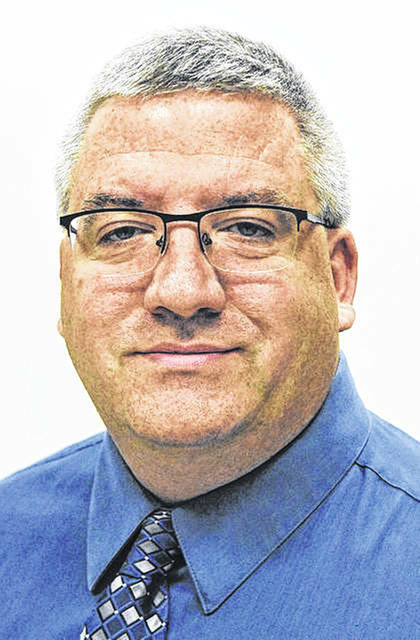 David Trinko is managing editor of The Lima News, a division of AIM Media Midwest.